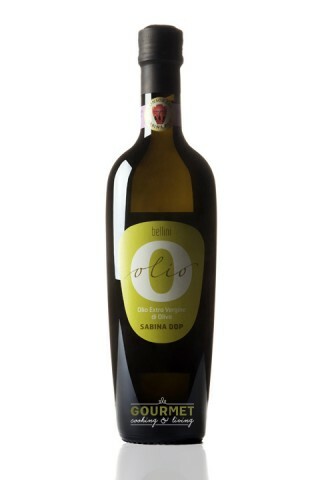 Bellini DOP Sabina is an extra virgin olive oil with an elegant taste. Well balanced with round notes of wild thistle and aromatic herbs. It is very versatile and can be used on many different type of dishes. Ideal used raw on legumes and steamed vegetables, fish carpaccio, salad and fresh cheese. Buy 6 for $16.99 each and save 16% . Buy 12 for $14.99 each and save 26% . RITA Società Agricola is a family-run company based in the province of Rieti, specifically in Canneto, in the municipality of Fara in Sabina. Owned by the Bellini family, the estate covers an area of approximately 200 hectares and it is mainly cultivated with olive groves. Today it counts over 20,000 trees. The first olive groves date back to one century ago. Francesco, the fourth of seven brothers, started to be fond of the countryside in his childhood but it is only after finishing his law school that he decided to dedicate part of his time to the rural life and, by acquiring new land, to increase the cultivation of olive trees and the production of olive oil. It is Carlo, the son, who is also in love with the Sabine area and has inherited a deep passion for the centuries-old tree and its precious liquid, who continues in his father's ancient family business with dedication and passion, expanding the estate until the creation, in 2005, of what it is now RITA Società Agricola, an estate full of olive groves and vineyards. RITA Società Agricola is founded on respect for tradition and the land and it specializes in the cultivation of olive trees and in the production of extra virgin olive oil. Today it is run by Chiara, Cristina and Benedetta Bellini, three sisters whose aim is to contribute to the enhancement of the Sabine area and its main product - olive oil. This is achieved through the creation of a new, young and sparkling dimension to make olive oil the element of a perfect integration between quality and gastronomy, between culture and art, and between tourism, tradition and production. The brand "Bellini" was born only in 2010 from the joint idea of Chiara, Cristina and Benedetta to enhance the estate and the land. Driven by their father's entrepreneurial spirit and their skilled and dynamic team, each one contributes to the design and implementation of projects, initiatives and activities aimed at making the Bellini's oil a way of being, an ingredient of life in all its facets.